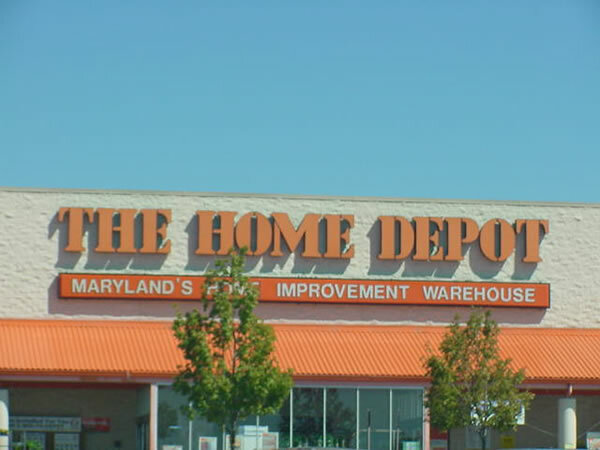 Associated Press (AP) -- Earlier this week, Frank Blake, President and CEO of the Home Depot, met with Pope Benedict XVI at the home improvement store in Annapolis, MD. "I was kind of surprised when the pope showed up," explained Blake. "I figured he probably just needed some nails or light bulbs or whatever, but I couldn't understand why he didn't just go into our store location in Rome." His Holiness explained--at a press conference later--that he had traveled from Vatican City to thank Mr. Blake in person for his contribution in "helping the faithful remain true in their devotion to Our Lady and to the will of Almighty God." 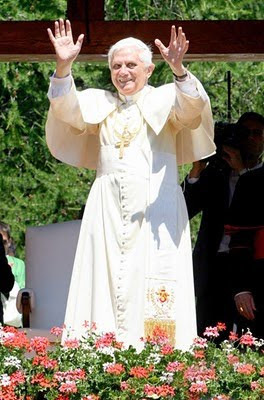 Pope Benedict XVI arrived to the store on Monday morning with an entourage of personal body guards. 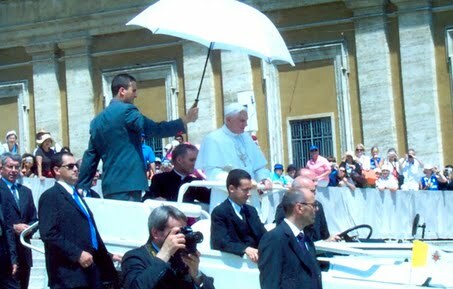 A white umbrella held over him mitigated the sun's rays. 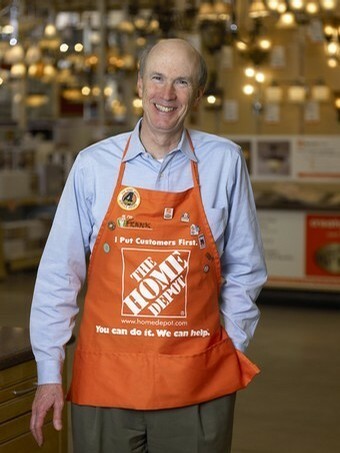 Such a visit was an unexpected honor for Blake, a father of three who has been the CEO of the Home Depot since 2007. "I'm not even Catholic," he admitted. Amid lots of initial confusion when the pair met, a 23-year-old cashier named Angela was finally able to help our Holy Father and Blake complete the newsworthy event together, explaining to the press (and especially to Blake) that the metal bracelet she wore around her wrist was not just for the benefit of customers who wondered what the zinc-plated jack chain looks like (which is sold for 50 cents a foot). It was also her consecration bracelet. Such a bracelet, she explained, "is a visible sign of a person's enslavement to the will of God." Angela went on to explain to the press that there is a 33-day period of preparation for such a commitment. She held up a small pamphlet, outlining the daily prayers, written by St. Louis DeMonfort. "I had no idea that so many Catholics were buying these chains," explained Blake. "I had noticed that we had difficulty keeping this particular style of chain in stock," he admitted. "I just figured people were using the chains for hanging stuff, tying things together...you know, the usual. Boy, was I wrong." According to a recent poll conducted by ABC News, 73% of those who have completed the Consecration to Our Lady in the style of St. Louis DeMonfort have chosen to show their dedication in some visible way upon their person. Of those, a whopping 98% have shown their commitment by wearing a chain, with 83% of them wearing it upon the wrist and 17% wearing it upon the ankle. Of those who wear a chain, an astounding 97% of them have just happened to choose the inexpensive zinc-plated jack chain, available at the Home Depot. "The coincidence is uncanny," said Father Walter Intosh, a Vatican spokesman. "We believe the Holy Spirit is guiding the faithful." 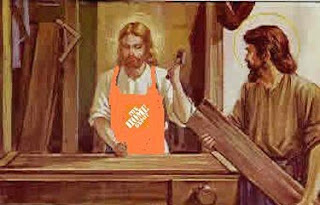 Is God guiding them straight to the Home Depot? "I didn't say that," Father Intosh clarified, laughing. "But the work of the carpenter will always have a special place in the Church since it is the humble work that St. Joseph and Christ did." 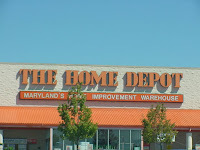 Meanwhile, Vatican officials and police were keeping an eye on the Holy Father, who had just entered the outdoor Garden Department to bless customers. An observing customer responded to the event by saying, "I'm glad this happened. I was getting tired of seeing colorful rubber bracelets used to support a cause. I couldn't keep them all straight. There were too many colors and too many causes to remember. A chain is much more real to me. It's a great way of reminding me that the most important cause is the cause for Christ." 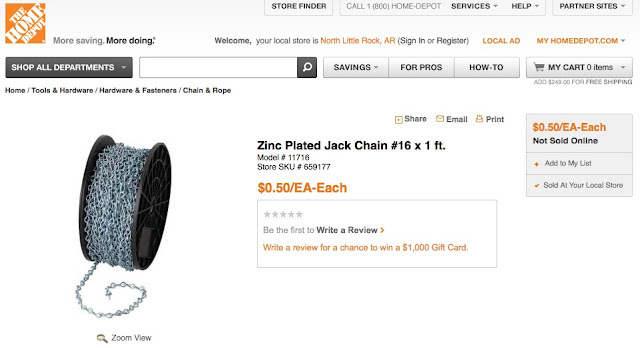 Zinc-plated consecration chains are available for purchase directly from the Home Depot website and may be purchased using the link below.